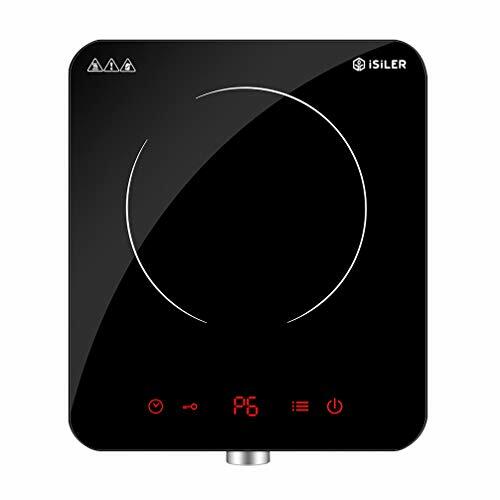 The iSiLER Portable Induction Cooktop is extremely fast, precise and energy-efficient, as its induction technology transfers energy directly into magnetic cookware. It is perfect for smaller kitchens or wherever you need a reliable and convenient way to cook food. 1. This unit will only operate with suitable cookware made from cast iron, enameled or stainless steel. It will not operate when using aluminum, ceramic, copper, glass or Pyrex cookware, or any cookware with a concave base. 2. The cookware base should have a diameter of no less than 4 in (10 cm) and no more than 8.7 in (22 cm).